"I was the first employee of twofour54, having started in our partner support services division. Witnessing the growth of twofour54 has been the highlight since the beginning. Growing with twofour54 and becoming its CEO has been a great gift because I was part of paving the way to establishing a leading media hub in the UAE and the region’s driving force behind media and entertainment entrepreneurs.” H.E. 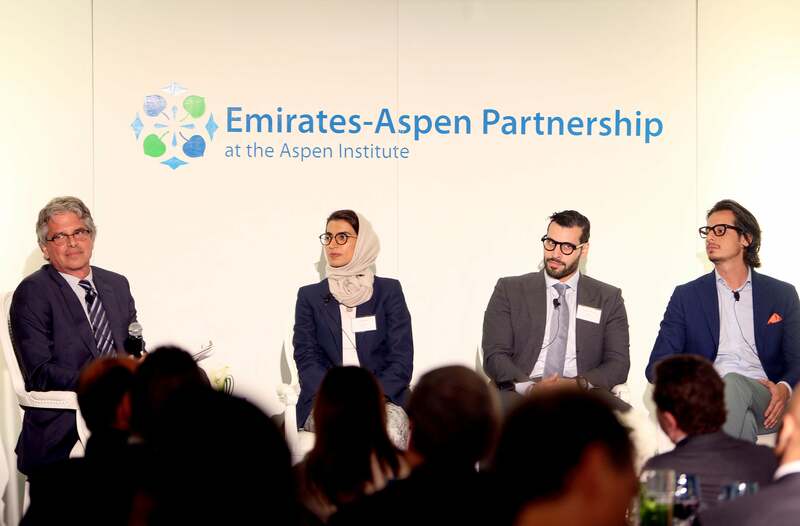 Noura Al Kaabi, the CEO of what is now one of most relevant corporate entities to come out of the United Arab Emirates, says that becoming the head of the multi-faceted hub is thus far her hallmark career moment. For female startup founders reading this, you might have already heard that twofour54 recently partnered with Flat6Labs that twofour54 recently partnered with Flat6Labs to launch Flat6Labs Abu Dhabi, and they are welcoming businesses from all across the MENA region and abroad. The annual Abu Dhabi Media Summit (ADMS), a twofour54 endeavor, having established itself as an extremely relevant platform for entrepreneurs, businesspeople and media alike, has presented some of the world’s biggest thinkers and sector luminaries over the past few years. Al Kaabi is well aware of the Summit’s pull, and says that they’ll soon be releasing the 2015 program for the highly anticipated event: “ADMS has previously drawn some of the industry’s biggest names including Bill Gates, Tim Berners- Lee, Rupert Murdoch, James Cameron and Eric Schmidt, has grown to become one of the world’s most preeminent events for the media and entertainment sector. Last year’s Summit brought together a big number of media leaders and innovative thinkers to stimulate the industry and bring new ideas from the international sector to the regional one. Some of the speakers included Her Majesty Queen Rania of Jordan, Mark Thompson, CEO of The New York Times, Ahmad Abdulkarim Julfar, CEO of Etisalat and Sam Barnett, CEO of MBC Group. The Summit was held under a theme highlighting the recent developments in the media industry in the MENA region and further afield. As a visionary, Al Kaabi consistently looks at the larger picture to facilitate success. Here are five drivers that you need to apply to your business.